SKU: LD-SB1. 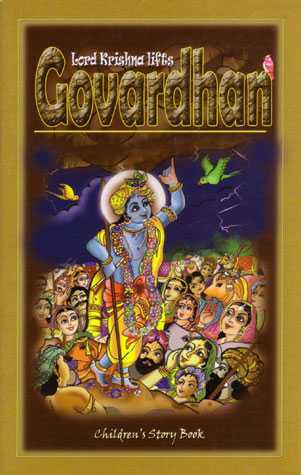 Categories: Books, Lord and His Devotees, New Items, New Other Books. 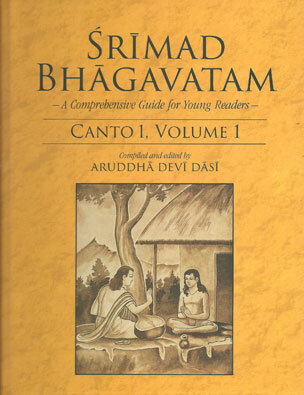 Srimad Bhagavatam is the most prominent of the Puranas, or histories of the Ancient World. The original Sanskrit text of the work, penned by the great sage Vyasadeva, says it is ‘as brilliant as the sun’, because its teachings can illuminate our consciousness even in the darkest times. Much like the Arabian Nights, it has an intricate structure of stories within stories; epic tales of divine incarnations, saints, sages, gods and earthly kings that span vast periods of time. 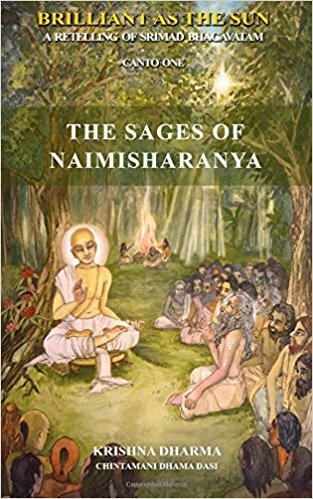 This first volume introduces the foundational story; a conversation among many learned sages and yogis at the holy site of Naimisharanya. 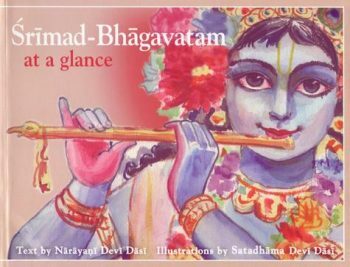 Srimad Bhagavatam describes how the earth goes through cyclical ages not unlike the four seasons in a year. Five thousand years ago, the world entered the most terrible of the four ages, otherwise known as Kali Yuga, or the ‘Age of Quarrel and Hypocrisy’. This era is characterised by terrific acts of violence such as large scale animal slaughter, systematic destruction of the planet’s food supplies, and the merciless affliction of civilian populations by warlords and governments alike. All of this leads to escalating miseries as the dreadful age unfolds. Aware of our impending plight through prophetic visions, the compassionate sages of Naimisharanya seek a way to help us. One of their member, Suta Goswami, goes in search of a solution and encounters a dialogue between an emperor cursed to die and a great mystic. From this discussion Suta discovers how anyone, no matter how drastic their circumstances, can transcend their misery and experience boundless joy by comprehending the science of God and the soul. He returns to the sages and faithfully repeats the secrets he has heard, and this becomes the Srimad Bhagavatam. 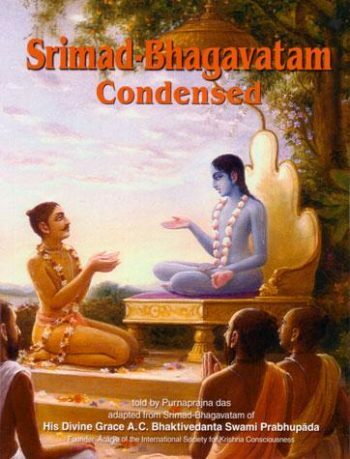 Described as the “literary incarnation of God”, Srimad Bhagavatam elevates its sincere readers to pure spiritual consciousness, beyond the reach of all misery. It describes the living being as an eternal part of the all attractive Supreme Person, Krishna. 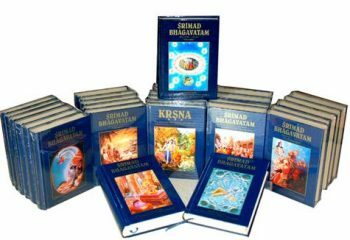 We are not meant to suffer and Srimad Bhagavatam assures us that our pain will end when we properly apply the spiritual science it expounds. It is the most conclusive self-help book ever written, offering the reader the means to rise above all of the personal, interpersonal, national and international problems we face today. 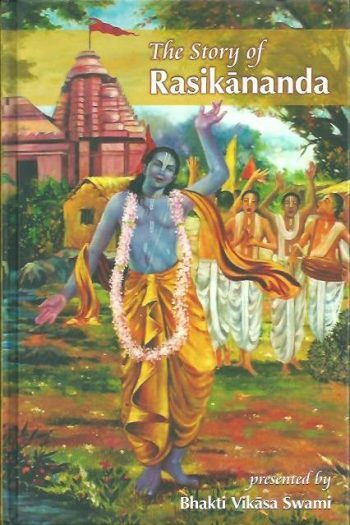 Krishna Dharma, is the author of popular retellings of the Indian epics ‘Mahabharata’ and ‘Ramayana’. With the assistance of his wife Chintamani Dhama Dasi, he now brings to life the greatest of India’s spiritual classics without compromising its essential spiritual message.